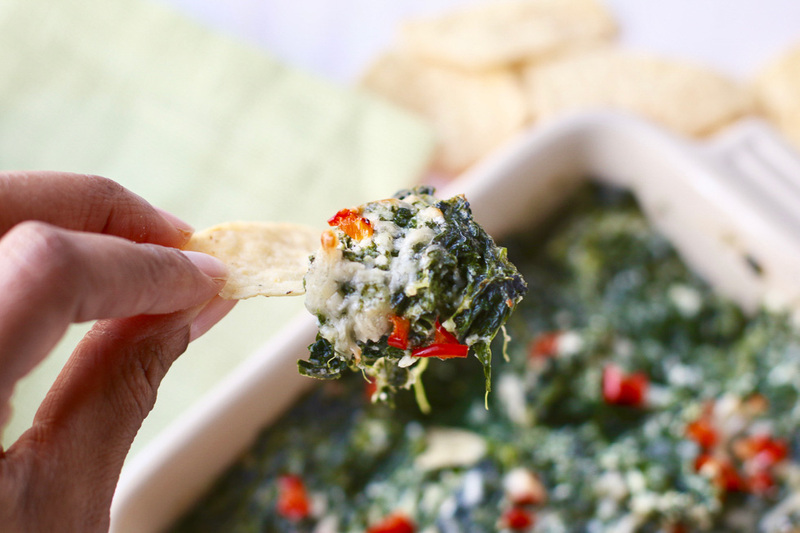 Add this healthy spinach dip to your game day spread. 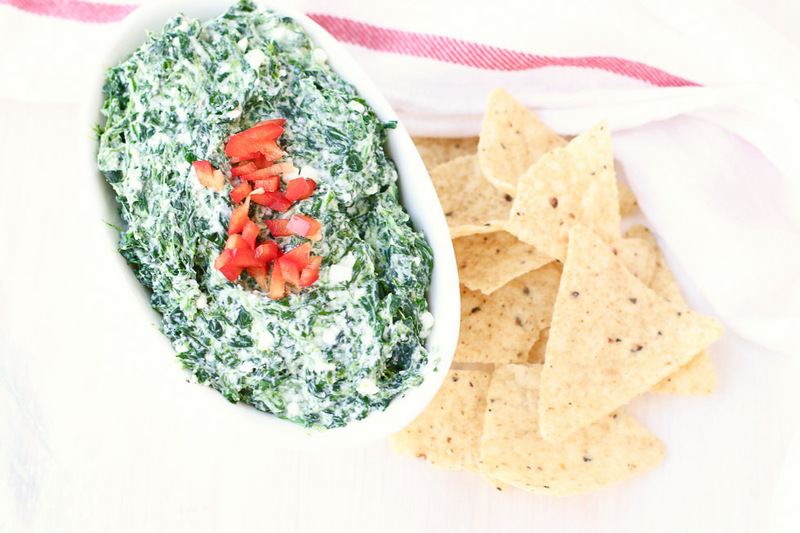 With whipped cottage cheese and plenty of garlic for flavor and spice, this lightened up spinach dip makes a satisfying game day snack! No spread is complete without spinach dip. Most of the time, spinach dip is made with lots of cheese, mayo, sour cream, and just a little bit of spinach. That’s cool at times. (You know I love a good indulgence.) But sometimes you want something a little healthier. This healthy spinach dip recipe balances that cream to spinach ratio a bit and boosts the protein with whipped full fat cottage cheese. It requires just a few ingredients – most of which you might already have on hand. I used frozen spinach, extra virgin olive oil, and spices I already had in the pantry. I opted for full fat cottage cheese versus low fat, to keep the dip nice and creamy. I tried the dip two different ways so only thought it fitting to share both with you! #1: You’ll simply blend the cottage cheese, olive oil, and spices for a creamy base. Stir in the thawed and drained spinach for a cool and creamy dip. You can stop here and enjoy the dip with all of its fresh-from-the-bowl glory. #2: Heat it up! You can take the dip one step further with a sprinkle of parmesan and a trip to the broiler for a warm and bubbly treat. As the big game is just a few days away, you’ll be happy to know that this recipe comes together in just five minutes – fifteen max if you decide to heat it up. You can also mix the recipe ahead of time and keep it in the fridge until it’s game time! 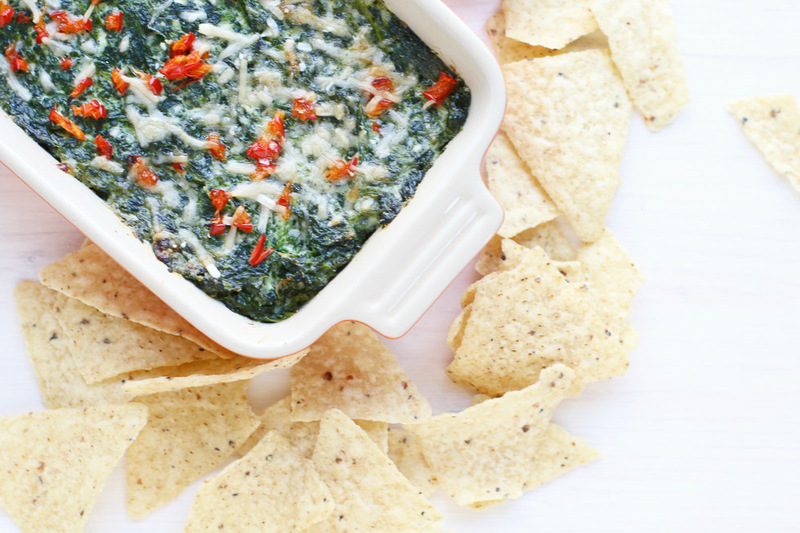 Add this healthy spinach dip to your game day spread. With whipped cottage cheese and plenty of garlic for flavor and spice, this lightened up spinach dip makes a satisfying snack or appetizer. Blend cottage cheese with the onion, garlic, pepper and olive oil in a blender until smooth. Pour cheese mixture into a medium mixing bowl. Add the spinach. Stir in the spinach until well combine. Add to a serving bowl and garnish with chopped red bell peppers if desired. Serve with tortilla chips or fresh red bell pepper strips for scooping. For a warm dip: Add the dip to a small, heat safe casserole dish. Top with ¼ cup parmesan cheese. Broil on high 5-10 minutes, or until the cheese is brown and bubbly. 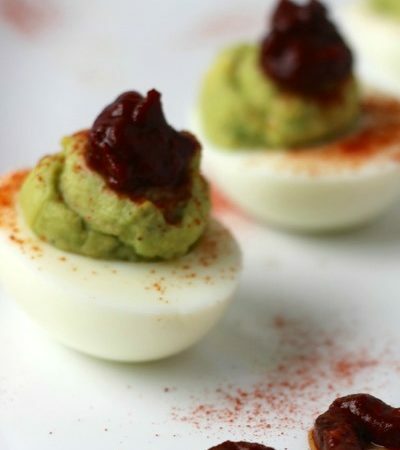 If you missed my 4 tips for healthier game day recipes yesterday, be sure to check it out for more tips and ideas to lighten up your party table. Now, gather the ingredients for this simple recipe and PIN it for later. 3 Comments on Healthier Spinach Dip – Two Ways! 2Pingbacks & Trackbacks on Healthier Spinach Dip – Two Ways!